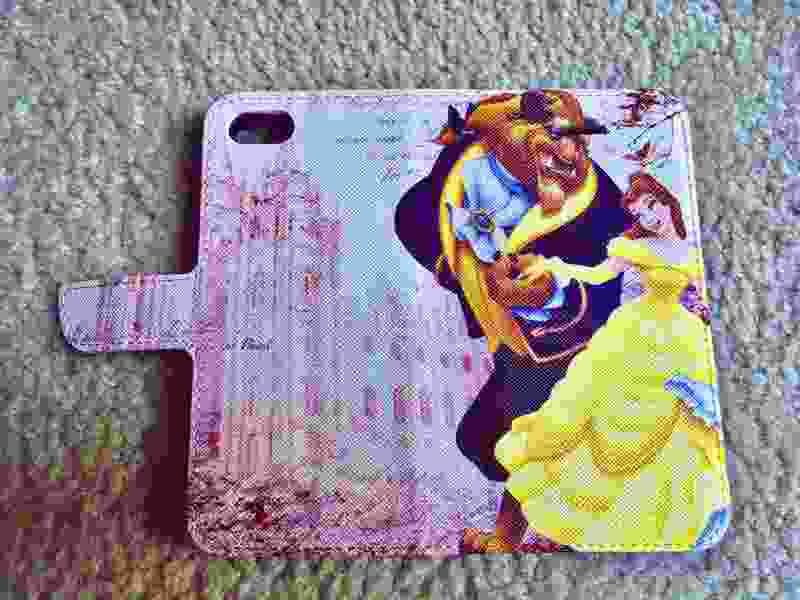 (Photo courtesy of Katie Abernathy Hoyos) A phone case that shows Disney characters in front of the LDS Temple in Salt Lake City has taken the internet by storm. Some of the response has been from people remarking on the oddity of the image’s implication — were Belle and the decidedly nonhuman Beast just “sealed” as an eternal couple in the temple? But in addition to being a viral image, the case itself has sold out since Hoyos' post, according to Pinky Beauty Australia, which manufactured the case from an image produced by a Hong Kong designer. It seems Hoyos is far from the only LDS “Beauty and the Beast” devotee. In addition to the lyric “Tale as old as time, Beauty and the Beast” written in script, the image contains lines from a passage of Mormon Scripture, Doctrine & Covenants Section 123, verse 17, which church founder Joseph Smith wrote from jail. It’s in a different font from the other text, and Hoyos assumes it was on the original temple image that was washed with pink and layered with a depiction of the Disney couple. Hoyos, a mother of four boys under 8, says she’s really enjoying the phone case, though its magnetic clasp isn’t very strong. She doesn’t think she’ll be on the lookout for further LDS-themed “Beauty and the Beast” merchandise — what made this one special was the happy accident of its creation. Her other public posts on her Facebook page are receiving attention, too, including one in which she tours the library in her South Carolina home, where she displays the “Beauty and the Beast” memorabilia that friends and family have given her over the years, including a real rose preserved in a bell jar. She’s a bit baffled by the attention and says she never intended to go viral. But it makes sense, she says, that she would for two things that she cherishes.